and is the seventh largest city in the country boasting a population of over 1.1 million residents. It is separated into four districts (gu) and 1 county (gun). As a city it really plays an important role to the country as it is the industrial hub of South Korea pumping out automobile after automobile in the world’s largest automobile assembly plant owned by the Hyundai Motor Company. And it doesn’t end there; Ulsan is also the proud owner of the world’s largest shipyard, owned by Hyundai Heavy Industries. If you were beginning to think that Hyundai had the lion’s share of the industry sector here, think again; SK Energy hosts the world’s third largest oil refinery in Ulsan. If you were thinking that Ulsan is all ships and cars then you would be wrong. 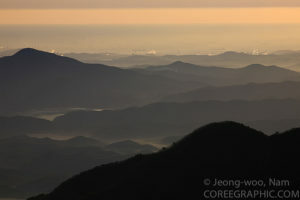 Ulsan is rich in Korean culture and the location of this city makes for some extremely beautiful scenery. 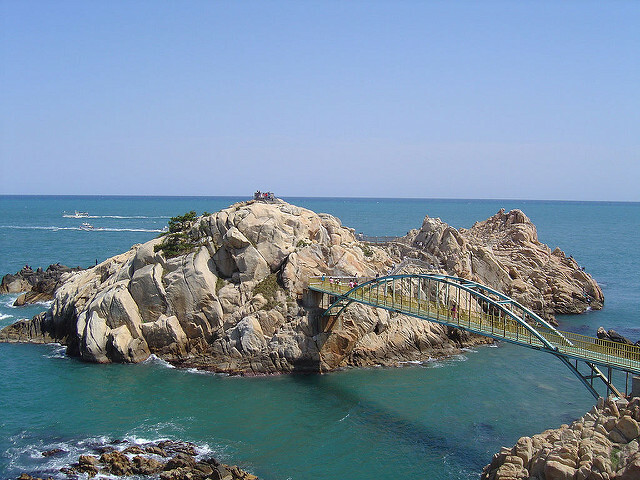 Being more towards the south of Korea Ulsan tends to get a better climate than the northern part of the country, and what’s more is that a lot of Ulsan borders the coast giving way to some beautiful sandy beaches in which to lap up that good climate. Mount Gaji – This is Ulsan’s tallest mountain which boasts a challenging 3 hour trek up a steep and dense ascent. However you are greatly rewarded by the views. Prepare to be bathed in the rich alpine sights, towering above the other mountains it truly does give you a sight to behold that will take your breath away. Naewonam Valley of Mount Daeun – River rapids have carved through Mount Daeun to create a beautiful valley surrounded by lush green trees and forestry. Seonbawi (Standing Rock) and Simnidaebat (Bamboo Grove) – These two areas stand side by side, arguably not the most impressive of the 12, Seonbawi is a huge rock jutting out from the river it stands in which neighbors a bamboo grove. 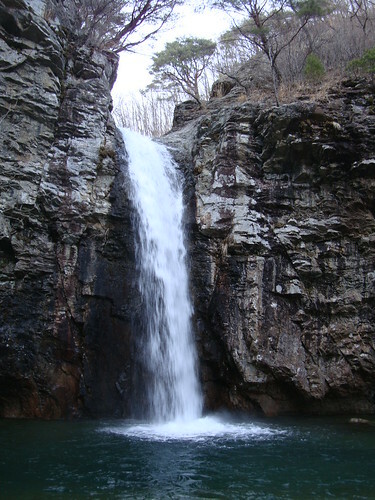 Paraeso Waterfall – This 15 meter high waterfall is a sight to behold, cascading out of the rocks on the trails of Sinbulsan it pours its fresh water into the pool below creating a beautiful mist. Definitely a must see. Jakgwaechon – This is a river that has been running over big rocks and boulders for years, making them smooth and very scenic. You can take a dip in the hot summer to cool off, or hop over the smooth and glossy rocks slipping through the rapids. Ulsan Sports Complex – Once a world cup venue the Munsu Stadium stands now to serve the Ulsan Hyundai Tigers (soccer team). There are many sports in Korea to choose from so make sure you get involved as much as you can. The surrounding area of this stadium makes for a beautiful walk around rivers and lush greenery. Eoksae (Reed) Plain of Mount Sinbul – This is another definite must-see; a few hours hiking up the second largest peak will bring you to an ocean of yellow reeds blowing in the wind backed by views of the Yeongham Alps. This is absolutely worth the few hours it takes to hike the mountain. 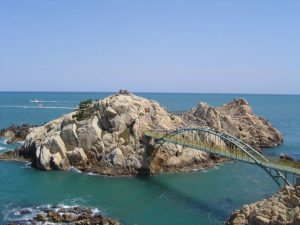 Bangudae – This is an island that is shaped like a turtle, however that is not this sights greatest appeal. Upon closer inspection you will find a glimpse into Korean history as there are ancient petroglyphs that have been carved into the rock, you can even visit the museum to explain the meanings behind the petroglyphs. 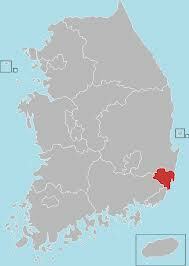 Daewangam Songnim (Pine Forest) – Located upon the coast of Ulsan is an island standing not far from the coast. The greatest appeal of this sight is the suspension bridge connecting the island to the mainland. The island offers a lighthouse and views of the Eastern Sea whereas the mainland is coated in pine trees. Black Pebble Beach – Yes, you guessed it, this is a black pebble beach. Waves crash against these smooth round sooty stones; perfect to walk along bare foot to receive a free natural foot massage. As food in Korea is very delicious, why not try out one of the many seafood restaurants that line the coast. Ganjeolgot – This beautiful white lighthouse is surrounded by beautiful wild flowers and faces the east of the sea. Many flock here for new-year’s celebrations as it claims to have the earliest sunrise on the north-eastern continent. Night view from Mount Muryong – The industrial side to Ulsan can be seen from an elevated view up on Mount Muryong, which may not seem like one of the great 12 sights, but at night this area is lit up in a way of beauty. Transportation in Korea is fairly efficient, and Ulsan doesn’t disappoint. It offers a very good transportation system which is very affordable, this is made even more affordable by the transportation discount card which gives the holder a 50 Won discount on bus fares and a free transfer on bus services if within the same hour. Even further this card can be used on other city transport networks across South Korea, which is perfect for traveling all of Korea. Navigating around the city can take some time by bus, there are express services (white buses) however these are not as frequent as the slower regular bus routes (yellow buses). Buses are fairly cheap to use, 1,150 Won with cash, or 1,100 with your discount card. Taxis are fairly cheap and easy to use, and after the buses stop running at night they are usually the only means of transport. The minimum fee is 2400won which increases by 100won after the first 2km. Note that between 12:00 midnight and 4:00am there is a 20% increase n the minimum fare making it 3,360won, increasing at 120won after. If traveling after 4:00am and the driver hasn’t changed the fare back then question the driver or get out of the taxi, you are being ripped off. Also on this point, the driver should only touch the meter twice during your journey, once at the beginning and once at the end (unless the journey begins just before midnight when the fares change and continues into the higher fare). If the driver touches the meter more than this then again, you are probably being ripped off. Train prices lay somewhere between the cheap bus service and the more expensive taxi service and are a good option if living more on the outer areas. They are fast and easy to use and can have you in the center in no time. Check the scheduled times as seasons may change the schedules. 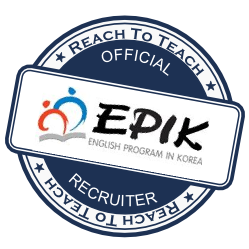 Thinking of making the move to teach English in Korea? 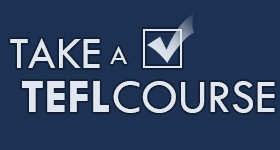 Check out our Teaching English in Korea Links for more information.